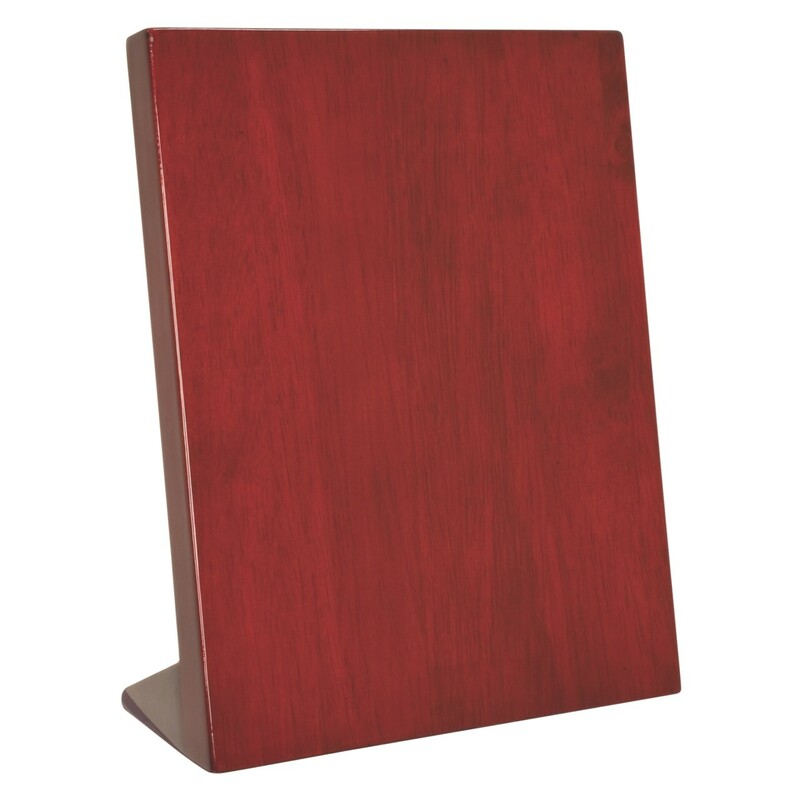 The Rosewood Piano Finish Standing Plaque offers a new way to display a beautiful plaque. Now you can place and relocate your precious achievement plaque on any desk or shelf as you please! 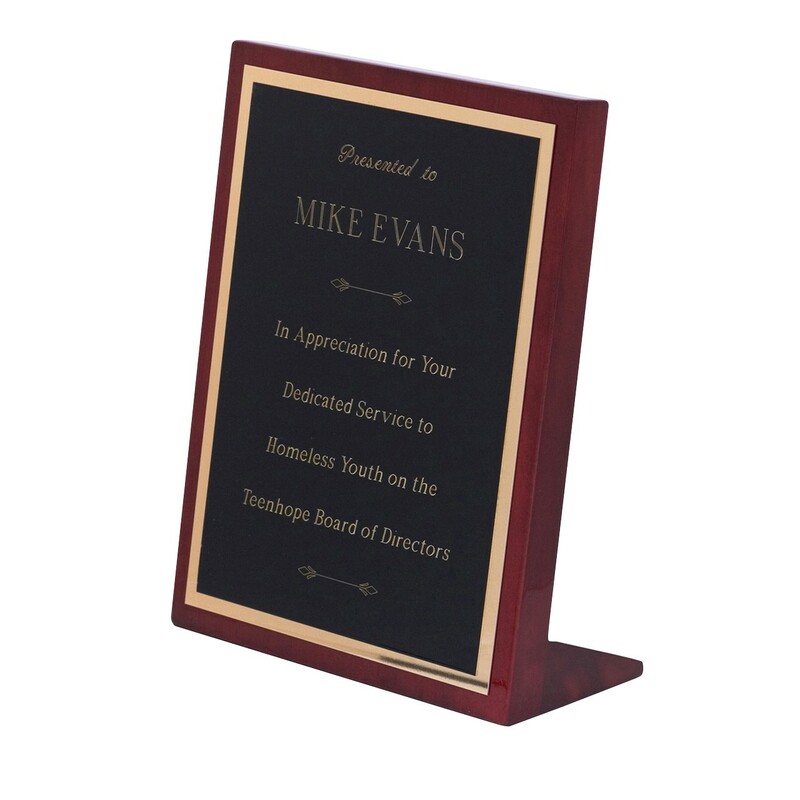 These plaques have a beautiful rosewood piano finish with a clean square edge. Perfect with any decor!